Police Discount Offers bring you this amazing British Bobby Teddy Bear wearing his NATO blue jumper! (old skool) and embroidered epaulettes. All his clothing is removable so when he’s not at work he can relax and change into his pyjamas! 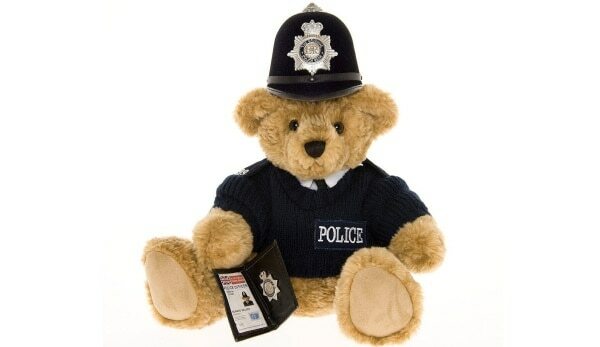 The Teddy bear even has his very own Duty Beat Helmet and warrant card, making him an authentic police teddy bear. Get this original British Bobby Teddy Bear with his very own Duty Beat Helmet and warrant card!